Knopf Books for Young Readers, 9780375861901, 288pp. The Red Umbrella is the moving tale of a 14-year-old girl's journey from Cuba to America as part of Operation Pedro Pan—an organized exodus of more than 14,000 unaccompanied children, whose parents sent them away to escape Fidel Castro's revolution. Christina Diaz Gonzalez based this powerful novel on the experiences of her parents, and of the more than 14,000 other unaccompanied minors who came to the United States through Operation Pedro Pan. This mass exodus of children is a little-known and fascinating piece of history, and Gonzalez has created a story that brings that history vibrantly to life. Gonzalez practiced law for several years before returning to her childhood passion for stories and writing. 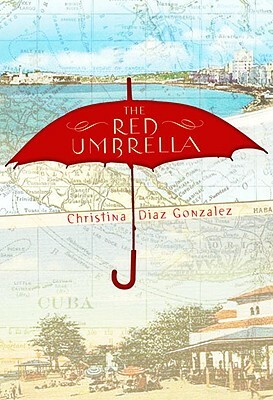 "The Red Umbrella" is her first novel. Christina Diaz Gonzalez lives in Miami, Florida, with her husband and two sons. You can visit her on the Web at www.christinagonzalez.com.